Reflexology is a deeply relaxing and energising holistic therapy which treats the whole person rather than just the symptoms of disease. It is based on the principle that all organs, nerves, glands and parts of the body are connected to reflex areas or points found on the feet and hands. When the reflexes are stimulated it sends a signal through the nervous system which encourages the body to heal and clear any imbalances to ensure the body functions and return to its natural state of equilibrium. Energy circulates between our living cells and organs. When energy is blocked in an area you accumulate a build up of crystal deposits which are sometimes sensitive. Blockages can be caused by stress, illness, injury and congestion. To these areas on the feet or hands you apply pressure and massage techniques to disperse the crystals which release the blockage and allow the energy to circulate the body returning it to a homeostatic state. Reflexology relaxes the whole body and bringing about a general feeling of wellbeing, also relaxing nervous tension and improving nerve function thereby calming the mind and emotions. Reflexology encourages the body to help itself heal current ailments; it strengthens the immune system and improves circulation. Reflexology can be beneficial for everyone, from tiny babies to the very elderly. 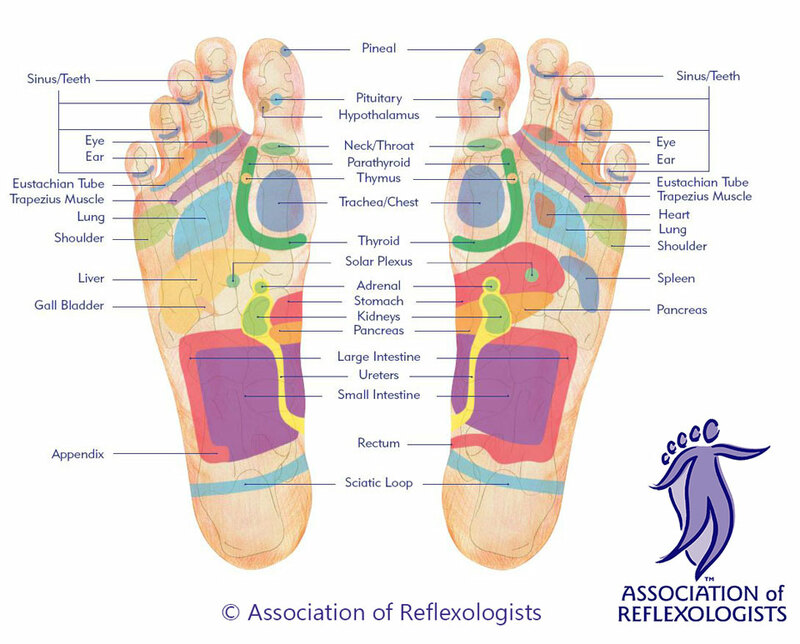 It is important to understand that reflexology is not just for helping people become well; it is all about maintaining health and keeping the body in the best possible condition.